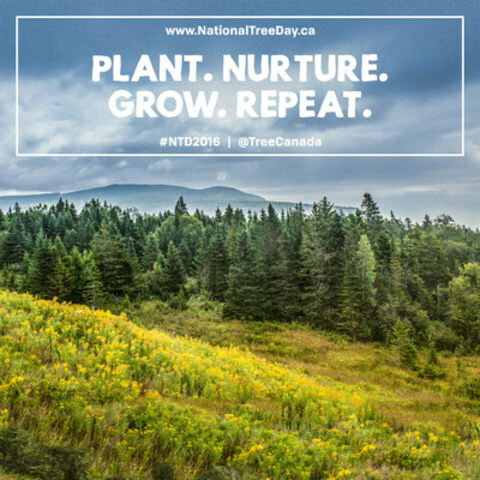 Tree Canada, the nation’s leader in tree-related programs and resources, and TELUS are celebrating National Tree Day on September 21 with tree planting events in provincial capitals across Canada. Attended by prominent federal, provincial and municipal officials, the events celebrate the positive impact trees have on Canadian communities. This year, TELUS, a longtime supporter of National Tree Day, is contributing $25,000 to the Canada-wide celebration. In Ottawa, Tree Canada will host a National Tree Day event at Vincent Massey Park with a ceremonial tree planting. Other participating cities includeSt. John’s, NL; Halifax, NS; Charlottetown, PE; Fredericton, NB; Quebec, QC; Toronto, ON; Winnipeg, MB; Regina, SK; Edmonton, AB;Victoria, BC; Whitehorse, YK; and Yellowknife, NT. Tree Canada has been a driving force behind the establishment of a National Tree Day in Canada. Each year, it falls on the Wednesday of National Forest Week, celebrating the value of trees to Canadian communities. Canadians can learn about National Tree Day events in their area through Tree Canada’s National Tree Day site, www.nationaltreeday.ca. Over the past 25 years, Tree Canada has planted over 80 million trees and greened more than 580 schoolyards across the country. The national non-profit organization engages communities, governments, corporations and individuals in the pursuit of a greener and healthier living environment, by providing Canadians with education, technical expertise, and resources to plant and care for urban and rural trees. Tree Canada is committed to working with corporate partners such as TELUS, government, and individual partners on tree-planting programs, including providing “ReLeaf” to areas suffering damage from natural disasters such as Fort McMurray, AB, as well as offering funding to communities for fruit-bearing trees, greening school grounds, and more.